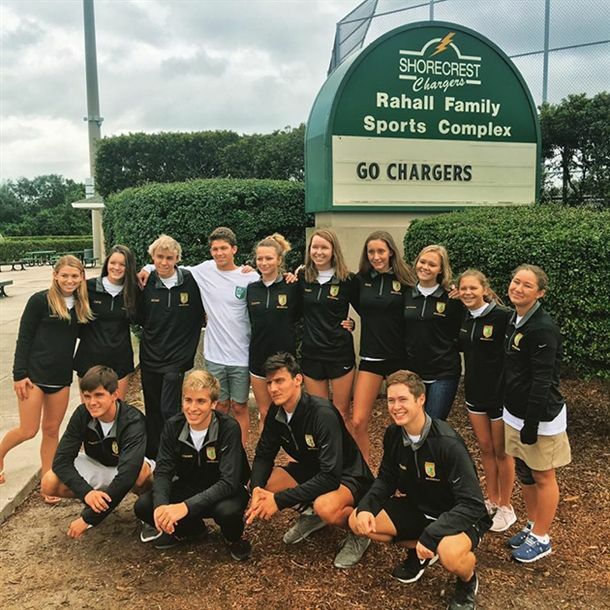 Chargers Swim and Dive had another great meet leading up to the 1A State Championship this week! At the 1A-3 Championship meet, our girls out-performed expectations with a big finish as Region Runners-Up! Leading the way was Sarah Lankford ‘22 with a new school record time in the 200 Free of 1:53.81 and a first place finish. A second place finish in the 500 Free gave her two automatic bids to the state meet. Sophie Elwyn ‘19 (Diving) earned a first place ribbon in her event and qualified automatically to the state meet. The 400 Free Relay (Taylor Emerson ‘19, Claire E. ‘23, Emery Camp ‘20 and Sarah L.) also placed first contributing big points to the score. The boys team was led by Caleb Kravitz ‘20 with two second place finishes in his events (200 IM and 500 Free) and Dominic Hoefer ‘19 (Diving), also second, garnering automatic spots at the state meet. The boys team finished fifth overall out of 32 teams. The 1A State Meet is Friday, November 16 at 9am. Watch live at www.fhsaa.org and Go Chargers!